Staying on budget during the holiday season is even more challenging than sticking to a healthy diet—there are temptations everywhere you look. Here are eight tips for keeping your finances on track during the Black Friday weekend and beyond. Know before you go. 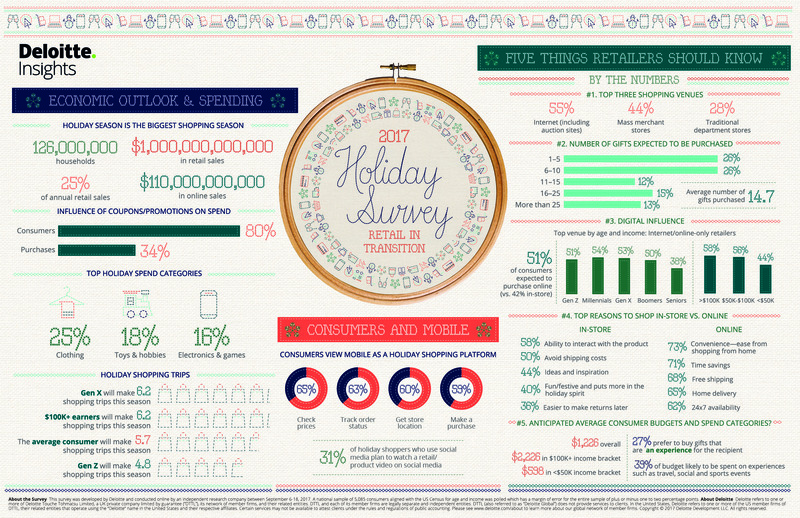 The average person plans to buy 14.7 gifts this season. Deciding whom you need to buy a gift for and how much you can and want to spend for each before you begin helps keep you on budget. Cash in on your loyalty. Many rewards programs assign points that can be redeemed as gift cards. In previous years, some programs have lowered their redemption points—for instance providing a $25 card for 2500 points instead of the typical 2750. This , effectively discounts the cards. So, check your rewards balances and conversion options before you start shopping. Then, cash in points, if you have them, for gift cards you can either wrap up or use yourself at stores where you intend to shop on Black Friday and throughout the season. Buy “used” gift cards. A number of vendors now make it easy for you to purchase second-hand gift cards at a discount to their face values for use in your own shopping. Gift Card Granny, Raise, Gift Card Zen, and eBay are among the better known sources for discounted cards. Have a game-day plan. Like a coach before a big game, have a strategy for each store and item you plan to buy. Many retailers preview their deals so you can price shop ahead of time, whether you plan to purchase in-store or online. Also, have coupons printed, clipped, and/or downloaded onto your phone so they are ready to present at the register. Tip your hand. Put things in your online cart while you price shop and think about them. Many retailers will email you reminders along with additional discount codes to entice you to complete your transaction. Save some of your resources. Black Friday tends to be a good day for purchasing electronics and toys. However as the holidays near, prices on clothing and decorating items—along with wrapping paper, for exanple—can drop further. It may work to your advantage to postpone some of your purchases until mid-December. Let your credit card company protect you. Some card issuers offer a price-protection benefit to their cardholders. When you enroll a recent purchase in the program, the benefit automatically searches for a lower price and monitors for future price drops for several weeks. You may receive a rebate equal to the difference from your card company if a better deal is found,. Watch Your Charges. While you may have a generous limit on your credit cards, be careful not to use more than 35%-50% of it during your billing cycle. This is especially significant if you are planning to apply for a mortgage in the spring. A spike in your debt utilization ratio—a measure lenders monitor—can lower your credit score. So, as tempting as Black Friday deals are, keep an eye on your billing cycle and time your purchases accordingly for the ultimate savings…on future borrowing.